LEGACY, VOLUME TWO is set for release on August 12th 2016 and will be shipping soon! 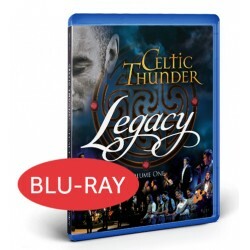 What’s more, all pre-orders of Celtic Thunder’s latest CD and DVD will qualify for 1.99 cent shipping to ANYWHERE IN THE WORLD. 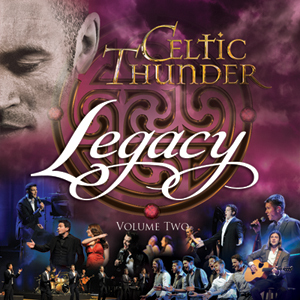 Pre-ordering also guarantees that you will be amongst the FIRST Celtic Thunder fans to receive the latest LEGACY release, ahead of our 75 City North American Tour! Special Shipping Offer ends 31st July 2016. 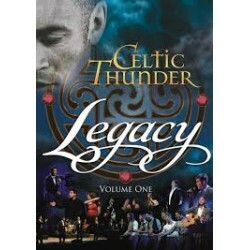 LEGACY VOLUME ONE is Lively, fast paced and upbeat songs “A Place in The Choir” “Galway Girl” and “Raggle Taggle Gypsy” represent the fun loving nature of the Irish while the slower classic ballads “ Black Velvet Band” “Noreen” and “Mountains of Mourne” play to their nostalgic and romantic side. 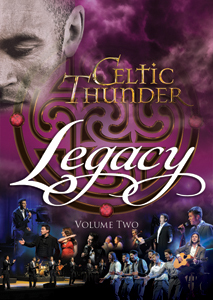 Featuring all new recordings, the songs on “Legacy” are varied in style and run the gamut from classic Irish folk songs and ballads such as “Danny Boy” and “Buachaille On Eirne” to the more contemporary hits “Falling Slowly” and “Ride On” and rousing anthems “Caledonia” and “Ireland’s Call”. Legacy Volume One will qualify for .99 cent shipping to ANYWHERE IN THE WORLD. Special Shipping Offer ends 31st July 2016.